INXY – dedicated servers, CDN, cloud solutions: Why eCommerce sites need low latency CDN? 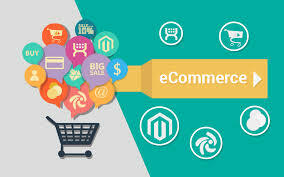 So you have launched an eCommerce store and have ordered services of a decent hosting provider. Shoppers are satisfied with your goods, social media praises you store, and everything seems to be perfect. Why would one need a CDN then? Purchasers are highly demanding. If in 1999, people were ready to wait 8 seconds for a website to load, today, their patience allows waiting for 3 seconds only. So if your website is too slow, you can lose up to 79% of potential shoppers who would not return to make a purchase. Furthermore, about 40% of them will tell a friend they had negative online experience. Thus, low latency CDN is crucial as Internet users are very demanding (Read about speed importance in 2017: https://www.spacecdn.com/blog/content-delivery-network/the-importance-of-page-load-speed-in-2017/). Another problem users have is slow speed when using mobile devices. This is why eCommerce websites should use responsive design and do their best to boost web performance. 73% of mobile users claim that websites are slow, and 38% reckon that there are sites totally unavailable via mobile devices. Accessibility has become very important for online stores, because half of content goes from mobile devices. In situations when bandwidth is limited, low latency CDN becomes crucial for user experience: it improves the speed of website, no matter what gadget is used. That particularly concerns emerging markets where access outside the country is poor, and PoPs can improve the situation. Statistics show that eCommerce sites with daily revenue of $100.000 per day may lose up to $2.5 mln in a year, if they have 1 second delay in loading. On the contrary, even 0,1 second improvement in loading can increase revenue by 1%. Thus, low latency CDN is very important for developing eCommerce sites. Using it, you boost speed, improve customer experience and maximize revenue paying just a few dollars a month.